Working in a wide range of media including printmaking, painting, ceramics, and sculpture, Belinda Fox is a highly talented Australian artist currently based in Singapore. Her oeuvre is inspired by the intensely personal introspective journey of life, with all its absurdities and challenges. She focusses on life’s contrasting elements – hope and doubt, movement and stillness, beauty and decay, thought and action, creation and destruction – striving to capture a space of harmony and to evoke a feeling rather than to depict a defined image. 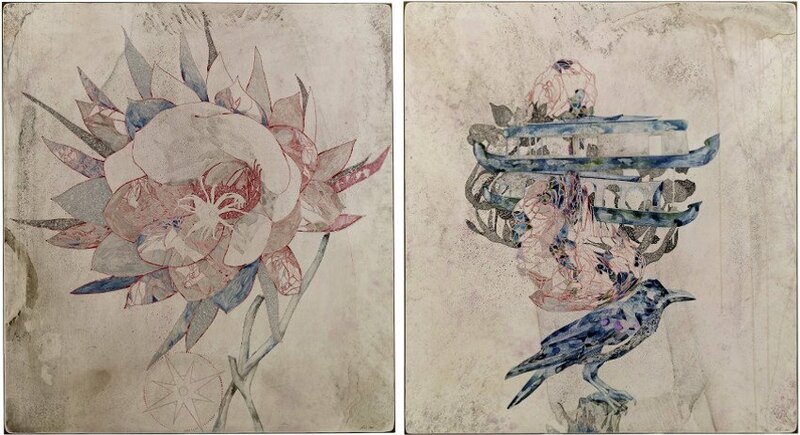 Her detailed and delicate works, loaded with meaning portray both strengths and vulnerabilities by establishing a balance in light, color and motion. Born in 1975, in Melbourne, the artist obtained her Bachelor of Fine Arts in printmaking from the Victoria College of the Arts in 1996 and her Graduate Diploma from the University of Melbourne in 1999. In addition, she worked as a studio master printer at Port Jackson Press Australia, collaborating with leading Australian creatives including John Olsen, Tim Storrier and David Larwill and Dorothy Napangardi. That experience gave her an insight into what it took to be a practicing artist and confidence to decide to begin her own career. In 2006, she has become a full-time practicing artist. Much of her work as an artist has been inspired by her travels in India, Nepal, Laos, Tibet and China and conversations with people from around the globe. Over the years, the painter has developed an impressive body of work that includes evocative and sensual prints, paintings, ceramics and sculptures. Working with both abstract and representational imagery, the artist’s carefully rendered and layered pieces are imbued with quietness and breathtakingly beauty, enticing the observer to stop by and reflect on her offering for a new, better universe. She creates complex yet cohesive compositions that frequently revisit such motifs as lotus and magnolia flowers, human figures and birds in flight. 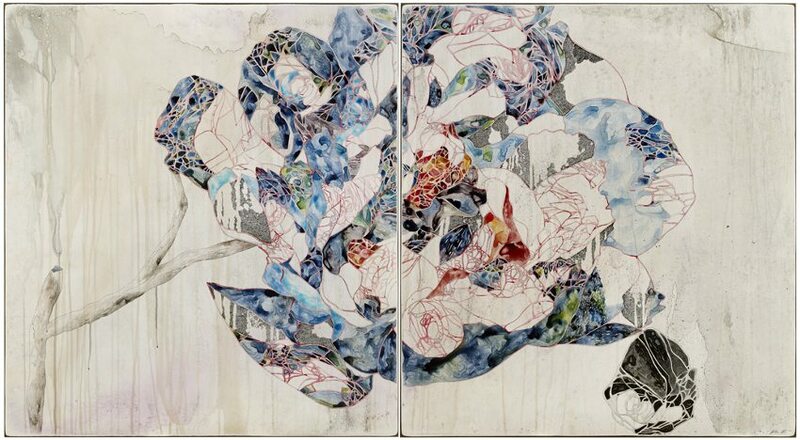 While mostly serene in effect, her recent works continue to harbor an underlying sense of endangered, fragile beauty. She searches for balance and harmony in our contemporary age. One of Fox’s most famous series of works – Balancing the World – extended her interrogation of the tenuous balancing act faced by a global society mounted on an insatiable thirst for “progress”, without taking care of the effects of human actions. The essential image of each peaceful, mediative Fox’s artwork hides a story that is waiting for viewers to reveal and reinterpret it in their own unique way. 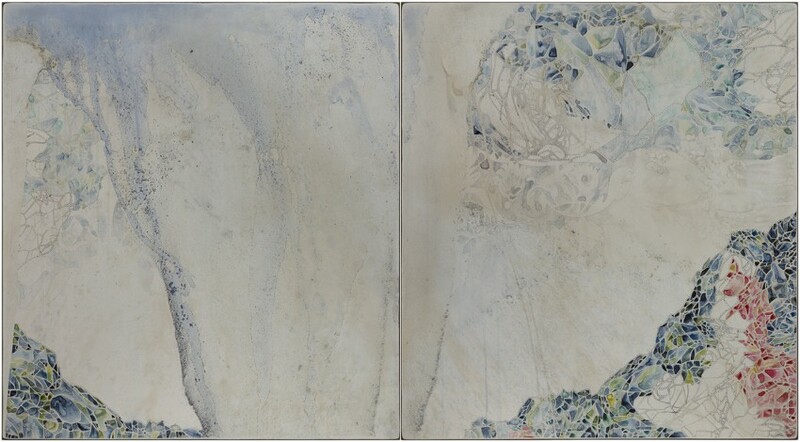 In September 2016, her new series of watercolor works – Still/Life – was presented at The Cat Street Gallery in Hong Kong. It embodied images which examine the reoccurring theme of imbalance and also follow the trend of her delicate approach to the rendering of her subjects. Fox’s work can be found in many notable collections including The National Gallery of Australia, National Gallery of Victoria, Artbank, The Print Council of Australia and Banyule City Council, among others. She received numerous awards for her work including Paul Guest Drawing Prize (nominated for a second time in 2016), the Burnie Print Prize and the Silk Cut award for lino-cuts and has been nominated for 30th Gold Coast International Ceramic Art Award for her collaboration piece with Neville French as well. 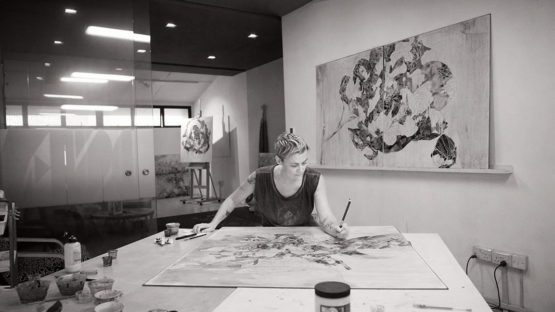 She has participated in residency projects in Greece, Singapore, Perth, Sydney, Darwin, Tasmania and the United States. Belinda Fox lives and works in Singapore.